Neck Profile: Slim Taper "D"
A slimmed-down les Paul studio with a vaulted ceiling and a bolt on neck, affordable for everyone. 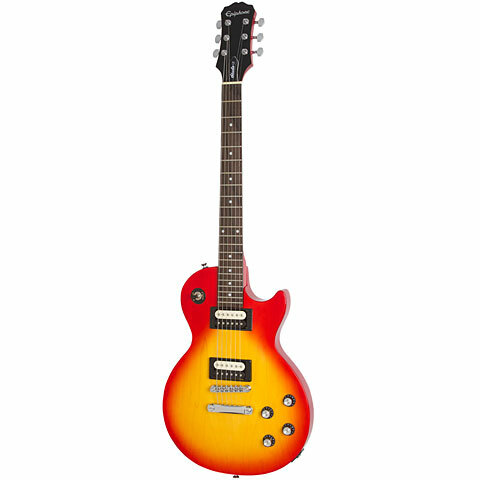 The Epiphone LP Studio is the less costly counterpart to the Gibson Les Paul Studio. The Studio is a guitar with no frills. The use of Binding and trapeze inlays has purposely been left out on this model and the guitar is reduced to the essentials. This item was given an average rating of 4 out of 5 stars. In total, 2 reviews were submitted. The comments are not the opinion of Musik Produktiv, they are the subjective opinions of our customers.